For more than a decade, Neteller has been a darling to businesses and individuals alike. They have been applauded for their simple, fast and secure ways of transaction money over the World Wide Web. Neteller is one of the world’s largest and independent money transfer business. They perform transactions worth billions of dollars each year. This payment system is trusted by merchants and its customers. They have a reach of more than 200 countries across a huge spectrum of businesses and industries. Neteller is operated by Paysafe Financial Services Limited which is the same company that operates Skrill. Neteller is an online service which allows you to make instant deposits to gaming sites (and other merchants as well) and fast withdrawals, taking usually around 12-24 hours. You can apply for a Net+ card, which will give you easy access to your funds just like a normal credit card. The transfers between users are instant and depend on the VIP status for free or cost a small fee of maximum 1,9%. The use of Neteller is free but there are fees for currency exchange and long periods of inactivity. However, these fees are low and not different to regular banking fees. Neteller is a large company which is traded on the London Stock Exchange. The Headquarter of Neteller is on the Isle of Man and Neteller is licensed by the FCA for the issuing of electronic money and cash under the Electronic Money Regulations 2011 (900015 FRN). Paysafe Financial Services Limited is a wholly owned subsidiary of Paysafe Group Plc. The company has received authorization from the Financial Conduct Authority under the Electronic Money Regulations to offer electronic money services. Having been authorized by the Financial Conduct Authority in UK, they maintain one of the highest standards in the business which has made them a leader in the electronic money transfer industry. They have stringent Anti-Money Laundering protocols which make sure that members are protected from identity theft and fraud. This is one of the most secure and trusted online payment systems in the world. They have state of the art anti-fraud tools and security features. The security measures in use are meant to keep you safe when online or offline. Even with the sophisticated tools, you need to also take precaution with your account to protect your security. What are some of these precautions you should take? Review your transaction history from time to time when you think that someone has used your account. Change your password when you notice this and contact the support team. Upgrade your browser when you can, this may assist in upgrading on crucial security patches and updates. Once you’re done using your Neteller account, do not close the browser before signing out. Signing out clears your browser cache and protects you from anyone from signing in. Security is a top priority and every customer can be additionally protected against unauthorized access with the new Two Factor Authentication (2FA). The two-factor authentication generates a random code every 30 seconds when logging in addition to your name and password this code must be entered. Even if someone knows your username and password, he could not log in because you also need the code that is sent to your mobile phone and which changes every 30 seconds. Do I have other benefits if I use Neteller? Neteller has an attractive VIP system that rewards you every transaction what gives the user the possibility to earn money while depositing money at any online operator. Every member does not matter VIP or not, earn Neteller points for every transaction and also for using the Net+ MasterCard. These points are can be changed then to real cash or other nice gifts. As a VIP, you also get a special 24/7 VIP support and also various invitations to special promotions that are out of the question for normal customers. It is worthwhile to be a VIP. Just contact our VIP support to find out more. Click on the Create a Neteller Account Button and you will be redirected to the main page of Neteller. Once you’ve done that, your account is ready to start. Now you just have to make a deposit into your account using one of the many methods offered. A deposit of minimum 10 € is enough. 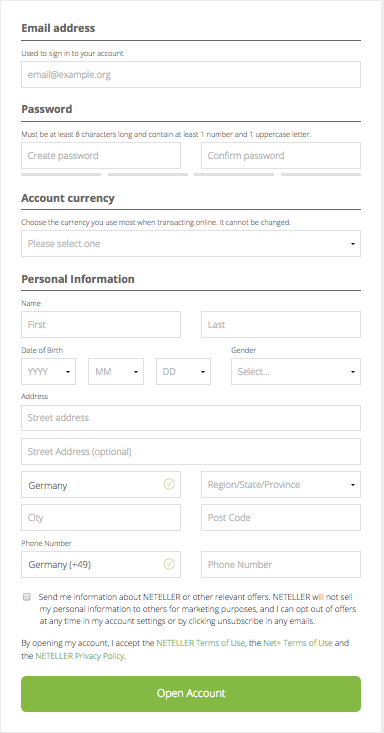 As a final step, you’ll need to verify your Neteller account by clicking verifying your account and sending a copy of your ID and current proof of address to Neteller. The whole process is very simple and every step is explained in your Neteller account. You can use your Neteller account even before verification, but only up to a certain limit, so you should complete the verification as soon as possible to increase your account limits. Now all is done and you can quickly deposit and withdrawal money and through your Prepaid MasterCard you have always and everywhere access to your money. The Net+ PrePaid MasterCard is a highly embossed plastic card that you can order as soon as your account has been verified. With this card, you can withdraw money from any ATM that supports MasterCard all over the world. The card is also accepted in almost all shops and online shops worldwide. The card is highly embossed and looks like a real credit card, but since this is just a prepaid card, you can of course only use the sum, which is available on your Neteller account. There are no monthly or yearly costs for the Net + PrePaid MasterCard. You can order the card in your Neteller account for a one-time fee of € 10.00. Cash withdrawals at any ATM in the world are charged with 1.75%. It does not matter if it’s in Germany, France or Brazil. 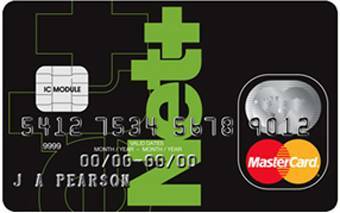 The use of the card in shops or online shops is free as long as you pay in the currency that corresponds to the Neteller account. If you pay in another currency, an exchange change fee of 3.99% will be charged. The MasterCard is available in eight different currencies: GBP, USD, EUR, CAD, SEK, DKK, AUD, and JPY. 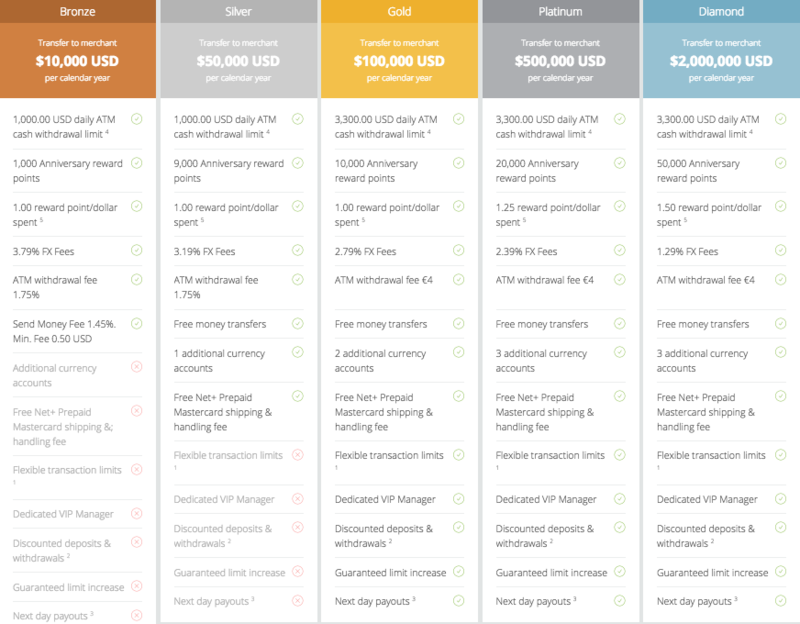 For more information on the different limits of the MasterCard, see the following table. Please keep in mind that this is standard fees for regular Neteller customers. If you create your Neteller account through YourPokerDream, you’ll get much higher limits. To create your Neteller Account over YourPokerDream makes for sure sense! 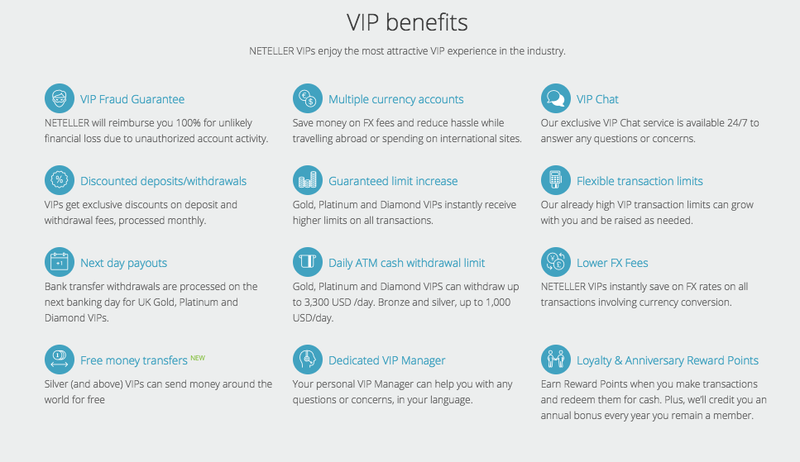 Neteller has a very attractive VIP program that rewards loyal members and each level brings several benefits. By registering via YourPokerDream you will immediately receive the VIP Silver status if you inform us after you have created an account. Your current status will always be displayed at the top of your account. To achieve a certain VIP status, you have to make a certain number of transactions to an online merchant. A deposit to a poker room, sportsbook provider or online casino is considered as this. Since the customer does not incur any costs for a deposit or withdrawal from a provider, many users make a large number of deposits and withdrawals in order to obtain a higher VIP status.